$448 $67 85% off Mr. Rowe Grass/Fog 3.5 Yard Dye Lots Vary. Item Sold As Is. All Sales Final. Lead time 2-3 weeks. $128 $19 85% off Mr. Rowe Peacock 1 Yard Dye Lots Vary. Item Sold As Is. All Sales Final. Lead time 2-3 weeks. $250 $38 85% off Criss Cross True Blue 2 Yard Dye Lots Vary. Item Sold As Is. All Sales Final. Lead time 2-3 weeks. $192 $29 85% off Lucas Check Putty 1.5 Yard Dye Lots Vary. Item Sold As Is. All Sales Final. Lead time 2-3 weeks. $134 $20 85% off Mr. Rowe Outdoor - Leaf 41.5" x 50.5" Remnant Unfinished edges Dye Lots Vary. Item Sold As Is. All Sales Final. Lead time 2-3 weeks. $134 $20 85% off Mr. Rowe Outdoor - Soleil 36" x 50" Remnant Unfinished edges Dye Lots Vary. Item Sold As Is. All Sales Final. Lead time 2-3 weeks. $134 $20 85% off Mr. Rowe Outdoor - Charcoal 36.5" x 50.5" Remnant Unfinished edges Dye Lots Vary. Item Sold As Is. All Sales Final. Lead time 2-3 weeks. $134 $20 85% off Mr. Rowe Outdoor - Charcoal 41.5" x 50" Remnant Unfinished edges Dye Lots Vary. Item Sold As Is. All Sales Final. Lead time 2-3 weeks. $109 $16 85% off Mr. Rowe Outdoor - Peacock 36.5" x 38" Remnant Unfinished edges Dye Lots Vary. Item Sold As Is. All Sales Final. Lead time 2-3 weeks. $268 $40 85% off Criss Cross Outdoor - Pool 73" x 52" Remnant Unfinished edges Dye Lots Vary. Item Sold As Is. All Sales Final. Lead time 2-3 weeks. $134 $20 85% off Criss Cross Outdoor - Watermelon 41" x 53" Remnant Unfinished edges Dye Lots Vary. Item Sold As Is. All Sales Final. Lead time 2-3 weeks. $134 $20 85% off Criss Cross Outdoor - Soleil 42" x 53" Remnant Unfinished edges Dye Lots Vary. Item Sold As Is. All Sales Final. Lead time 2-3 weeks. $235 $35 85% off Criss Cross Outdoor - Grasshopper 66" x 52" Remnant Unfinished edges Dye Lots Vary. Item Sold As Is. All Sales Final. Lead time 2-3 weeks. $201 $30 85% off Criss Cross Outdoor - Grasshopper 55" x 52" Remnant Unfinished edges Dye Lots Vary. Item Sold As Is. All Sales Final. Lead time 2-3 weeks. $133 $20 85% off Lola - Dove Grey 42" x 36" Remnant Unfinished edges Dye Lots Vary. Item Sold As Is. All Sales Final. Lead time 2-3 weeks. $134 $20 85% off Criss Cross Outdoor - Soleil Panel 36" x 36" Overlocked w/ jute hook Serged edges with one jute hook. Dye Lots Vary. Item Sold As Is. All Sales Final. Lead time 2-3 weeks. $134 $20 85% off Criss Cross Outdoor - Orange Panel 36" x 36" Overlocked w/ jute hook Serged edges with one jute hook. Dye Lots Vary. Item Sold As Is. All Sales Final. Lead time 2-3 weeks. $134 $20 85% off Criss Cross Outdoor - Grasshopper Panel 36" x 36" Overlocked w/ jute hook Serged edges with one jute hook. Dye Lots Vary. Item Sold As Is. All Sales Final. Lead time 2-3 weeks. $134 $20 85% off Criss Cross Outdoor - Watermelon Panel 36" x 36" Overlocked w/ jute hook Serged edges with one jute hook. Dye Lots Vary. Item Sold As Is. All Sales Final. Lead time 2-3 weeks. $134 $20 85% off Criss Cross Outdoor - Charcoal Panel 36" x 36" Overlocked w/ jute hook Serged edges with one jute hook. Dye Lots Vary. Item Sold As Is. All Sales Final. Lead time 2-3 weeks. $134 $20 85% off Criss Cross Outdoor - True Blue Panel 36" x 36" Overlocked w/ jute hook Serged edges with one jute hook. Dye Lots Vary. Item Sold As Is. All Sales Final. Lead time 2-3 weeks. $335 $50 85% off Criss Cross Outdoor - Charcoal 95" x 53" Hemmed Panel 2" hem top/bottom 1" hem sides. Dye Lots Vary. Item Sold As Is. All Sales Final. Lead time 2-3 weeks. 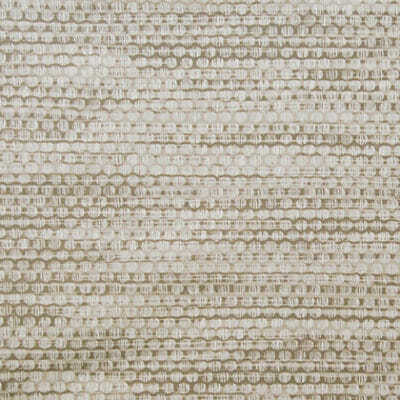 $335 $50 85% off Criss Cross Outdoor - Soleil 96" x 51" Hemmed Panel 2" hem top/bottom 1" hem sides. Dye Lots Vary. Item Sold As Is. All Sales Final. Lead time 2-3 weeks. 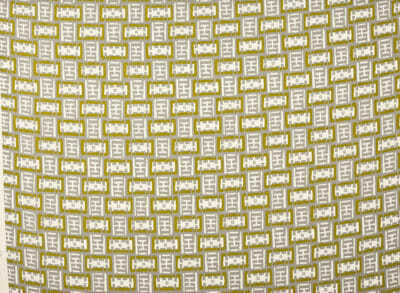 $118 $18 85% off Criss Cross Outdoor - Soleil 46" x 30" Hemmed Panel 2" hem top/bottom 1" hem sides. Dye Lots Vary. Item Sold As Is. All Sales Final. Lead time 2-3 weeks. $285 $43 85% off Criss Cross Outdoor - Soleil 90" x 35" Hemmed Panel 2" hem top/bottom 1" hem sides. Dye Lots Vary. Item Sold As Is. All Sales Final. Lead time 2-3 weeks. 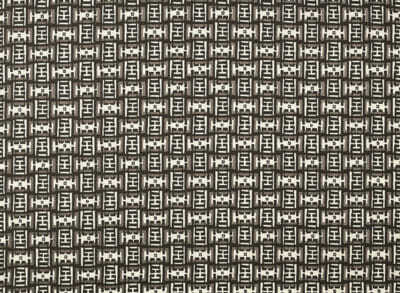 $335 $50 85% off Criss Cross Outdoor - Grasshopper 89" x 51.5" Hemmed Panel 2" hem top/bottom 1" hem sides. Dye Lots Vary. Item Sold As Is. All Sales Final. Lead time 2-3 weeks. $335 $50 85% off Criss Cross Outdoor - Grasshopper 94" x 52" Hemmed Panel 2" hem top/bottom 1" hem sides. Dye Lots Vary. Item Sold As Is. All Sales Final. Lead time 2-3 weeks. $252 $38 85% off Criss Cross Outdoor - Watermelon 88" x 36.5" Hemmed Panel 2" hem top/bottom 1" hem sides. Dye Lots Vary. Item Sold As Is. All Sales Final. Lead time 2-3 weeks. $118 $18 85% off Criss Cross Outdoor - Watermelon 45.5" x 29.5" Hemmed Panel 2" hem top/bottom 1" hem sides. Dye Lots Vary. Item Sold As Is. All Sales Final. Lead time 2-3 weeks. $285 $43 85% off Criss Cross Outdoor - Watermelon 91" x 35" Hemmed Panel 2" hem top/bottom 1" hem sides. Dye Lots Vary. Item Sold As Is. All Sales Final. Lead time 2-3 weeks. $134 $20 85% off Mr. Rowe Outdoor - Leaf Panel 36" x 36" Overlocked w/ jute hook Serged edges with one jute hook. Dye Lots Vary. Item Sold As Is. All Sales Final. Lead time 2-3 weeks. $134 $20 85% off Mr. Rowe Outdoor - Soleil Panel 36" x 36" Overlocked w/ jute hook Serged edges with one jute hook. Dye Lots Vary. Item Sold As Is. All Sales Final. Lead time 2-3 weeks. $134 $20 85% off Mr. Rowe Outdoor - Green Blue Panel 36" x 36" Overlocked w/ jute hook Serged edges with one jute hook. Dye Lots Vary. Item Sold As Is. All Sales Final. Lead time 2-3 weeks. $134 $20 85% off Mr. Rowe Outdoor - Charcoal 36" x 36" Overlocked w/ jute hook Serged edges with one jute hook. Dye Lots Vary. Item Sold As Is. All Sales Final. Lead time 2-3 weeks.